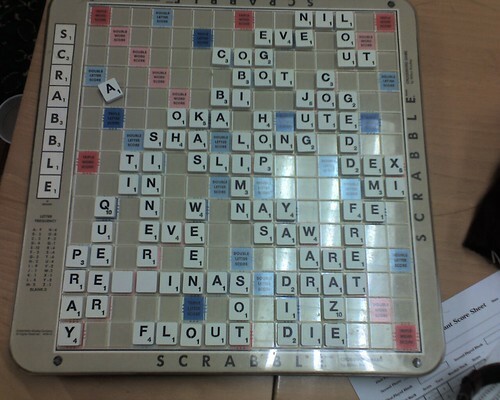 Between playing on facebook, I played A LOT of Scrabble Thursday. 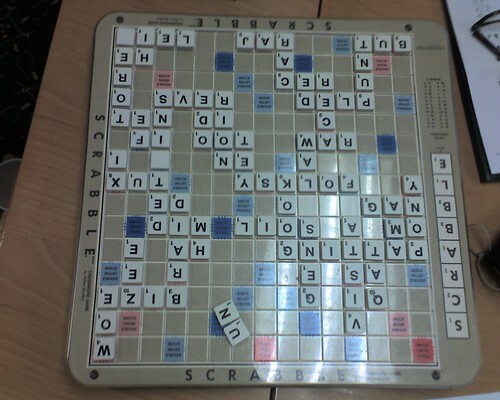 And since I only slept about three hours, I have to say, I did not fare all that well leading to a newly discovered difference between my two favorite games (being Scrabble and No-limit Texas Hold Em), I cannot nay I should not play Scrabble when I'm tired. I just can't focus enough and I start playing like a four year old. My first match at the club, I drew a blank and an s on my first draw -- I had like a million bingoes in my rack and just couldn't find a place for any of them. But, instead of playing off three or four letters for twenty/thirty points, I kept putting down one letter for single digits points, so that when I finally dropped my bingo, the other guy was still ahead. And then I drew the other blank and proceeded to repeat that strategy all over again. 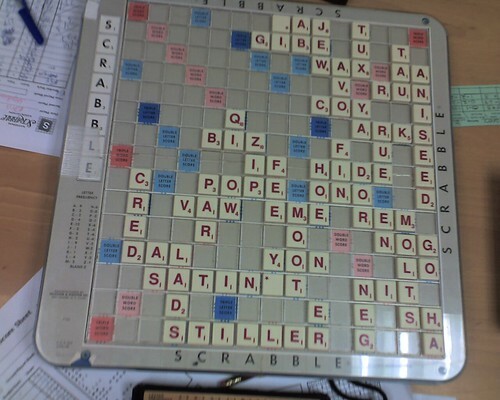 In fact, by the end of the game I was losing by more than 150 points and I had given up playing Scrabble. 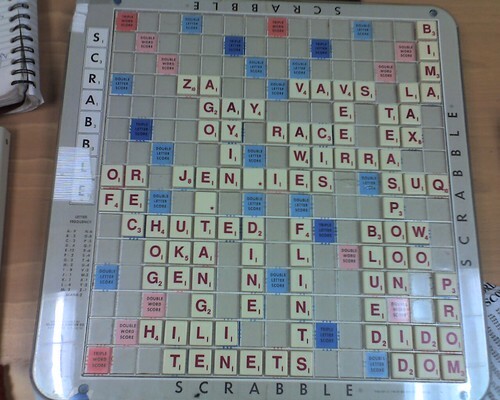 I was like playing "hey what words can you make in rack regardless of the board." I went over on time -- blah disasterous. I got really bitter when I played off my tiles making some word and leis for like 8 points (mind you guy was still leading by triple digits) AND HE CHALLENGED! I won the challenge (the first time ever) but I was so appalled at his unsportsmanlike conduct that I wanted to punch him. But I was too tired. My next match up was against a college kid interning in New York for the summer. It was his first time playing at the club or with a clock. I played many a phony against him. 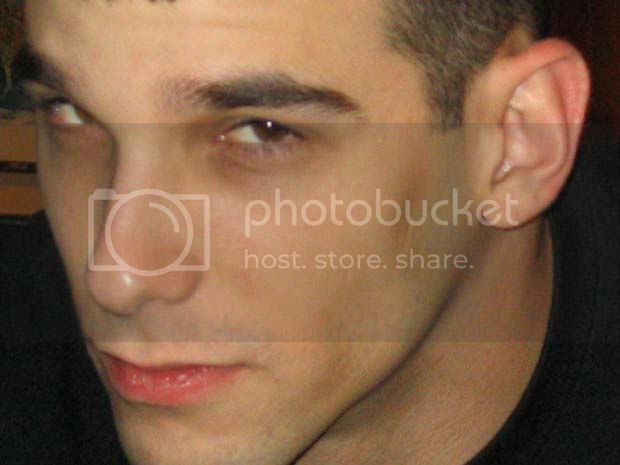 There were terrible pangs of guilt when he'd look up from the board and be like "Gedd? I don't know that word...can you tell me it's good?" He also straight up passed his turn three times in a row! And, of course, this not being my first rodeo, I just kept exchanging tiles till I drew a bingo. I played the really good guy again and managed to come within 8 points of beating him. I drew a satine rack late in the game, and opened up the triple line so that I could bingo on it and he hurt me with the f going two ways with fe and of. Pout. But we bingoed three times on him with teaspoon, satinet and JENNIES! I actually opened that game bingoing with jennies! HA! I won my final game. It was against this really nice guy named Elvis. At least I thought he was nice. "yeah, I don't know...but I have to try something (I had bingoed on him twice already and played the z two ways) so he's all struggling to count up his points and I see his clock running down and I KNOW I'm challenging...I mean aniseed??? But when he says that to me, I feel all bad for him like "awww, he admitted to his hail mary play...ok we'll spare him counting his points and losing time, I'll challenge right now and stop the clock." So I call the director over, but I notice this guy is still counting up his points. And sure enough, Director takes one look at it, nods his head and says "it's good." Well, you can imagine the mercy I showed him for the rest of that game. So once again we had a .500 night. Though one of the women at the club asked me if I'd help her get better. I smiled. Oh, and Chugarte would like me to blog about our game yesterday where he tried to play the word GASTrICIESOISAE for 300 points, but I challenged it. He also still refuses to believe that oi is a valid Scrabble word. Which is good...hopefully, he will challenge it in our next game as well. "Though one of the women at the club asked me if I'd help her get better." Did you tell her you'd have to scream and laugh at her a lot?